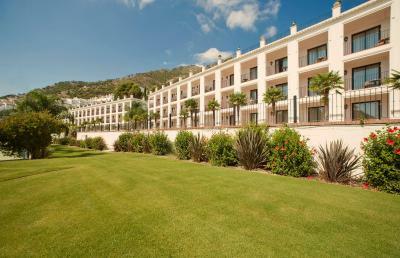 Lock in a great price for TRH Mijas - rated 8.4 by recent guests. Location was fantastic and convenient parking in the hotel grounds. Swimming pool area has excellent views. 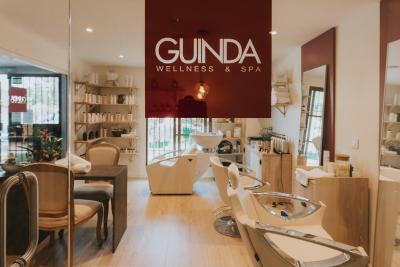 Efficient and friendly staff. 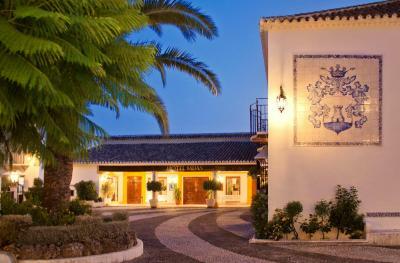 the most beautiful hotel have stayed at, hope to go back some day what views from our room overlooking ocean and city below. 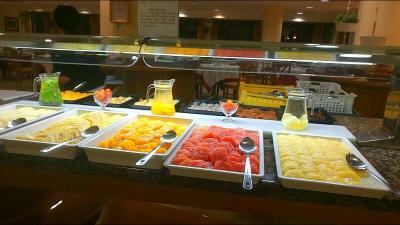 Friendly staff,Fabulous breakfast,Comfortable beds and pool and pool area great. We booked half board the breakfast was much better than the dinner menu.The food on both occasions were cold we booked the spa it was a lovely experience.The rooms are a bit outdated and don’t stay in the rooms outside near reception as it’s near to the stairs and can be very loud. Everything ok, nothing special to mention. Had a very competitive off-season rate.. Not sure how pricing compares to performance at peak sesaon. Proximity to the village. 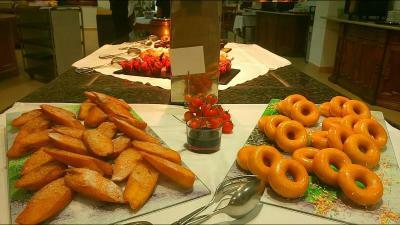 Breakfast was good,and the restaurant staff were professional and helpful. The two ladies at Reception were lovely and respectful. 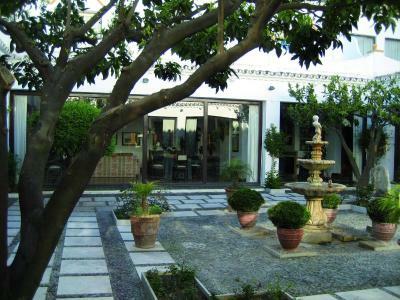 The pool area was well cared for and the surrounding gardens. 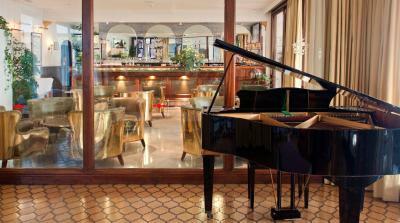 Generally it was spacious in the bar, reception and bar. 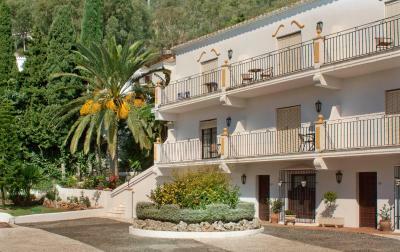 Quiet location, short walk into Mijas village, bus stop outside to get to Fuengirola. Staff very friendly and helpful. I loved the view from the bar area . Location is perfect. Good breakfast, easy walk into village ,very clean. 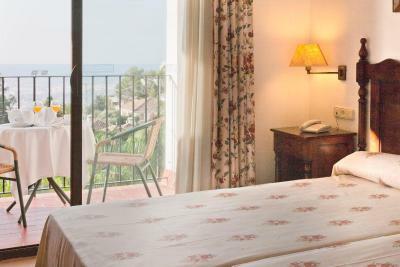 One of our top picks in Mijas.This charming Andalusian style hotel is located between the beach and the mountains and offers an outdoor pool, tennis court and sauna. 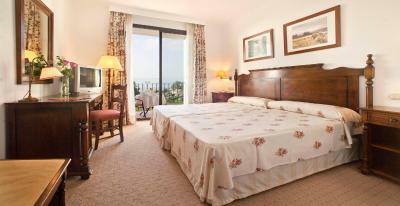 Each room has a mountain, sea or pool view. 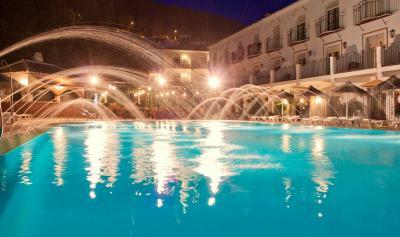 Hotel TRH Mijas is surrounded by attractive Andalusian-style patios, with typical fountains and gardens. 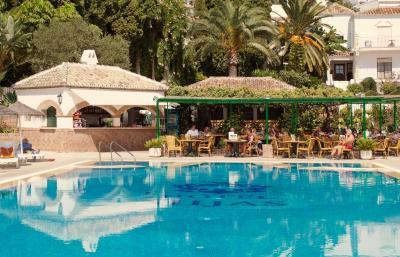 There is a large poolside terrace with sun loungers. 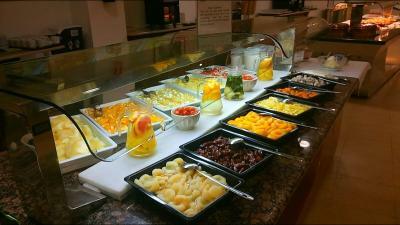 The hotel has a snack bar and a restaurant, serving Mediterranean food. 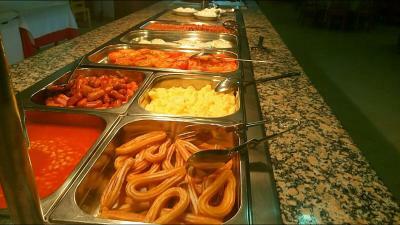 There is also a variety of restaurants and bars in the centre of Mijas, a 5-minute walk away. 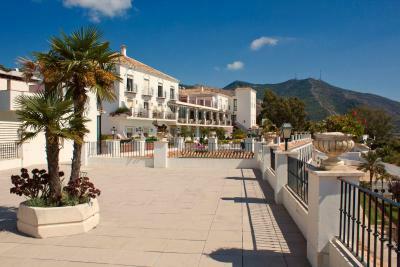 Staff at the 24-hour reception can help to arrange car rental and guided tours of the area. 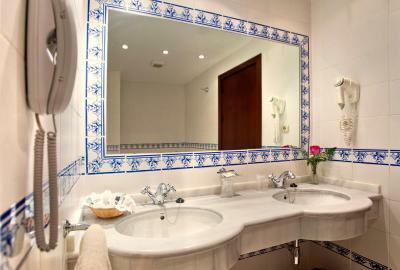 The hotel includes rooms officially adapted for guests with disabilities. 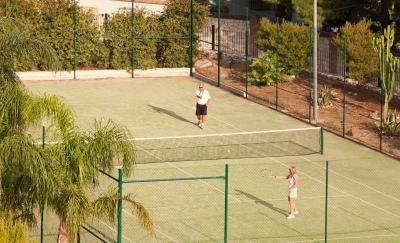 Local bus services stop just 100 yards from the hotel, and provide direct links to the rest of the Costa del Sol. 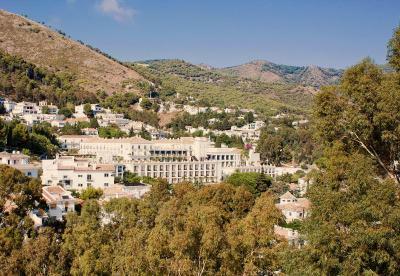 Fuengirola is 4.7 miles away, while Malaga is 18.6 miles away. 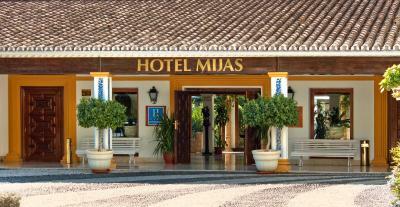 TRH Mijas has been welcoming Booking.com guests since 30 Aug 2004. 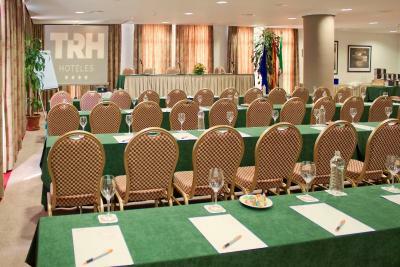 When would you like to stay at TRH Mijas? 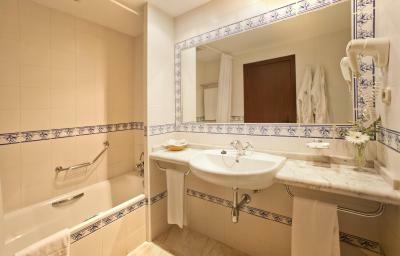 This room has a private bathroom with a hairdryer. 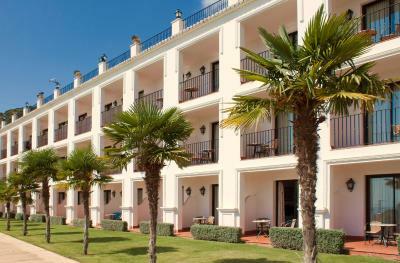 There is also a private balcony or terrace, subject to availability. Safe and minibar are available for a surcharge. 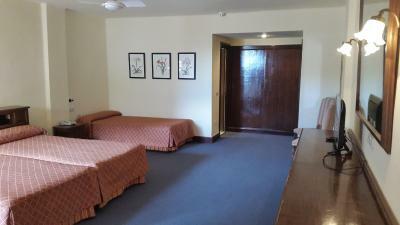 Rooms are air conditioned in summer and heated in winter. 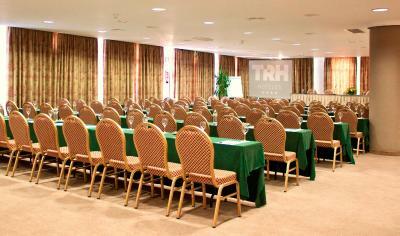 All rooms in TRH Mijas are non-smoking. 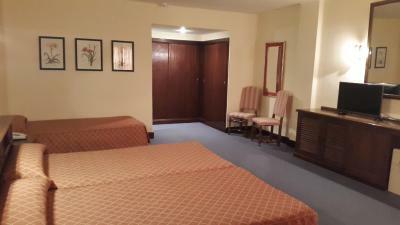 This spacious room has a balcony or terrace. It has a private bathroom with a hairdryer. Safe and minibar are available for a surcharge. - 1 Green Fee and 1 Buggy in Alhaurin Golf Camp. Please note, for additional Green Fees, the hotel needs to be contacted directly. 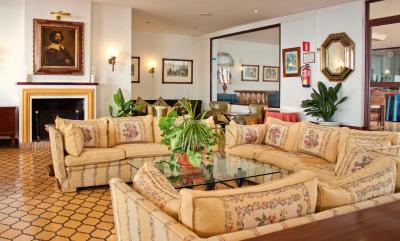 Nice cosy hotel in the center of Mijas village, fully equipped. 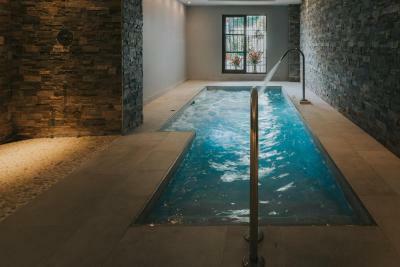 In the summertime you can relax in the outdoor pool and enjoy the beautiful surroundings and breathtaking views, while the hotel team makes your stay as comfortable as possible. House rules TRH Mijas takes special requests - add in the next step! TRH Mijas accepts these cards and reserves the right to temporarily hold an amount prior to arrival. Please note that half board and full board mealplans do not i nclude beverages. there could have been more entertainment. Couldn’t find anything not to like!!! Romantic dinner go somewhere else. You can nearly hear your neighbor whisper. The food at the restaurant was really type "big tourist restaurant": not really tasty, not really convincing. Price was however very fair. 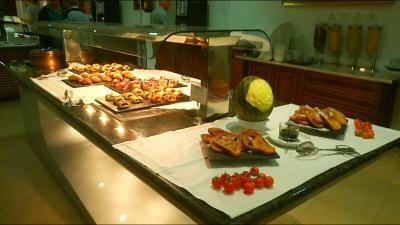 The dinner was buffet style but not very good, over cooked and tasteless. Less of it perhaps and cooked fresh might be better. However, some people like that so understand you cannot cater for all tastes. I know the hotel well, my family have stayed several times, however, the major issue is the poor soundproofing between the rooms. 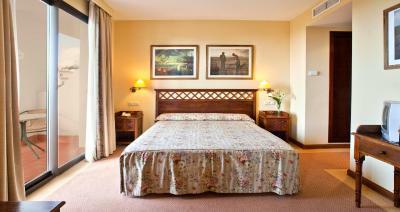 The first night my room, close to the lifts was an utter nightmare, late arrivals and early starters, I didn’t sleep. I asked if room 48 was theire noisiest room and should be used for storage. They moved me to a quiter room but as others had said who also complained it depends a lot on your neighbours. Overall its old fashioned and needs tons of updating to decor, bathrooms, crazy low seating everywhere, definitely not for older people. Perhaps they are preserving the chairs? 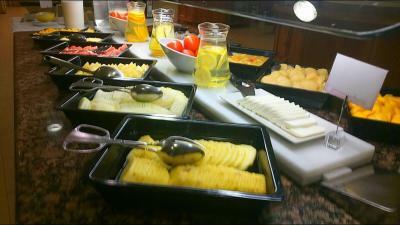 The breakfast itself was typical hotel buffet style, and while the room has a great view of the sea, it's huge, tiled and the kitchen staff loud and busing tables with a cart, making it feel more cafeteria-like than hotel like. The lack of ambiance in this room is not up to the hotel's other amenities. Price and location. The balcony was awesome. The corridor carpets in the “superior rooms” wing stained and worn.